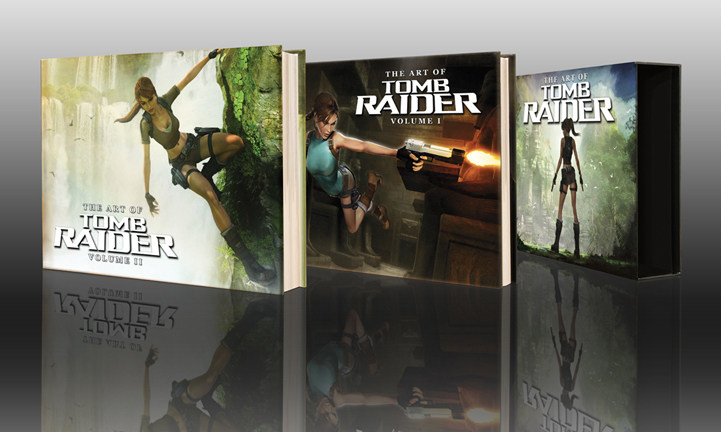 The Art of Tomb Raider is the first book to present every signifcant piece of Tomb Raider art from all the games and adventures of Lara Croft. This gallery of art is presented in a two volume, 568 page book. Volume 1 chronicles Tomb Raider through Tomb Raider: Angel of Darkness. Volume 2 chronicles Tomb Raider: Legend through Tomb Raider: Underworld. The two volume set is house in a slipcase. See the first ever sketches of Lara Croft by Toby Gard, unreleased concept art, storyboards and promotional art and fascinating insights into the evolution of design and visualization of all the Tomb Raider games.